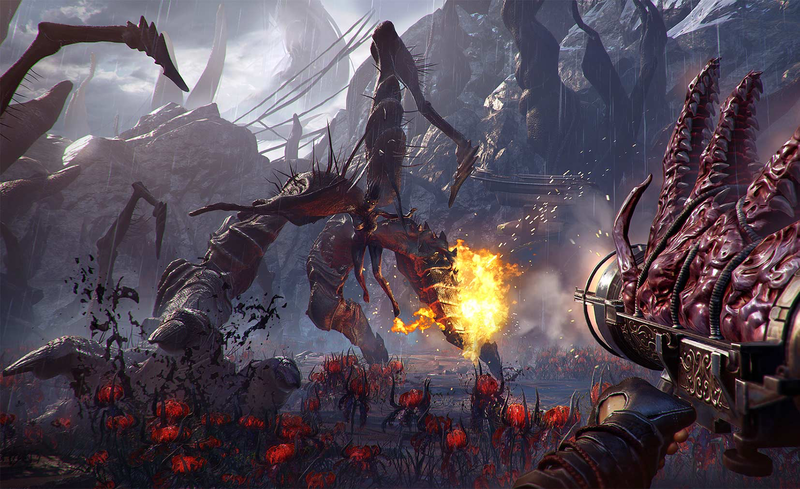 During GDC 2019, I was given the chance to sit down with Paul Wedgwood, CEO of the newly formed Supernova Capital and Michal Szustak, CEO of Flying Wild Hog, the Shadow Warrior developer that Supernova just acquired. Our meeting took place in one of the W Hotel’s conference rooms just across from the North Hall of the Moscone Center, a place where thousands of game developers were gathering to network, check out other team’s games, and attend talks about any and every aspect of development. 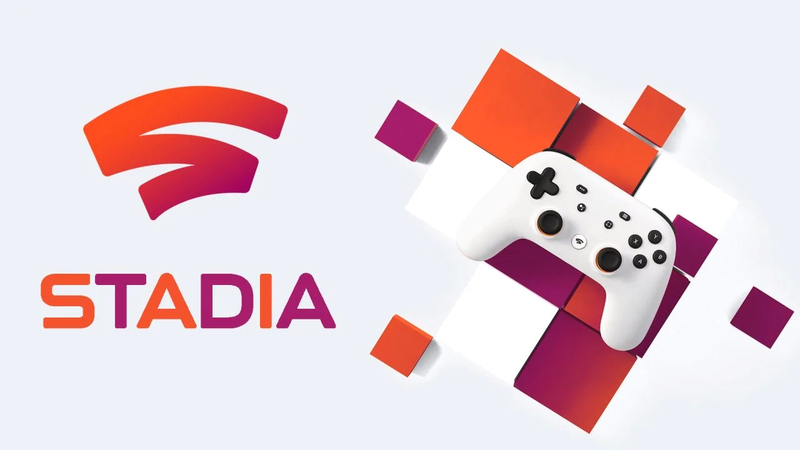 Wedgwood has a lot of energy on the Tuesday morning, just an hour or two after Google’s keynote revealed Stadia. Michal was more laid back, though this was mostly due to jet lag after traveling from Warsaw, Poland. During the talk with both, I got a sense of the great pride both men had in their studio history, especially when it came to their focus on making sure the workplace was happy and stable. This felt like a breath of fresh air to me following the recent large publishers and studios like EA, Activision Blizzard, and Telltale, who have experienced layoffs upon layoffs or straight up closures due to bad practices. Over the course of our conversation, we ended up talking a bit about GDC, Stadia, and the state of the gaming industry in general when compared to last generation. Paul Wedgwood: It’s vibrant now the industry again, there is so much going on. There was this real lull five or six years ago that just felt like no one knew if there would be a future in play, if free to play was going to take over everything and it was going to be the lowest common denominator of Vegas style psychology. It is really refreshing, there is just so much going on, so many new developers, so many publishers and publishing platforms and distribution methods. So many platforms that you can put games out on that are actually viable and you can do it at almost any level you like. A two-man team can easily publish a game that can be successful, and you can still do 600-man AAA projects and still sell. Steven Santana: It feels better than the transition from PS3 generation. Back in 2012, which was a year similar to 2019 in that it was just ahead of next-generation consoles, nobody knew what was going to happen. There was a lot of anxiety about where the market was going as far as developing and being able to get funding and be profitable. PW: Work for hire seemed to be over completely for video game developers. It seemed that people had taken everything internally and wouldn’t do any external or independent, so for work for hire studios it was tough. What have you found most interesting this week so far, what’s the biggest story? SS: Well probably the Google keynote is going to be the biggest thing. PW: It’s basically a new controller that is yours…You can go up to any chrome cast enabled device like television that’s running Chrome or your phone. On the stage they bought the cheapest PC they could do locally to show how effectively Assassin’s Creed Odyssey ran because anything that can run 1080p video can run streaming. It runs very much like movies on YouTube, you can see a game, click play now, and play it straight away. It seems like such a big deal, as soon as it’s live it will be like this is how things always were. We don’t remember using cassettes or CDs or DVDs. SS: Do you worry about the permanence of having something that only exists over the internet? It feels like it is up to the whim of those who own it. Did you hear about the Myspace thing? They basically deleted all the music that had been uploaded to their site from before 2016. All that stuff that existed online that you think is going to be there forever, its gone. PW: With Netflix, you don’t have save games. Save games don’t always survive changes in code and updates and patches and things anyway. Often people think that their old save games are still going to run and they discover they don’t when they run a game two years later, like with an old Xbox 360 game. I remember the same anxiety existing around Blu-ray and DVDs. I had a thousand DVDs in my sitting room in a huge library and I was die hard anti-streaming. I couldn’t get the director’s commentary and all these things that were absolutely dear to me, who really loves film, and yet now everything I buy is on Amazon digital, or I just watch Netflix. I have completely transitioned. One of the first things I pack is a Amazon Fire stick when I travel anywhere at all. It is more useful for me to put a Fire stick into a hotel TV than almost anything else. I’ll forget laptop chargers, but I’ll be upset if I lost my stick because I can’t watch YouTube, and everything is done that way now. There is no doubt that video games will be streamed and it will probably become the largest way that people play. I think there is no doubt also that the premium gaming and free to play gaming will converge on all you can eat buffet style monthly subscription platforms. If I make a game based purely on engagement, my sole purpose in life is to engage players for as many hours as possible. It’s not driven by the degree to which I monetize or buy a sticker price from the front of the price that demands 14 hours of cinematics, but instead is simply driven by a wish to entertain for the maximum number of hours. It doesn’t matter if its Saturday morning cartoons or blockbuster movie content, the most important thing is simply to entertain for the largest number of hours because that is the way developers will be paid for the things that are consumed the way a thing would be on Netflix. Some of the benefits of things like Netflix that people forget are TV shows are not written for ad breaks anymore. Arcs for a show can be written for the entire season. You don’t have to think, “I only get person X for episode 1 and episode 7.” It’s great for a writer to have a show that is seven seasons long, with arcs that last entire seasons. Even in sitcoms you can do arcs that run for entire seasons so it’s a more honest way of making television and it’s a more honest way of making games. To be driven to simply engage the player for as long as possible as your principal purpose is such brilliant thing for a designer to have as a challenge. It can only be good, irrespective of where that is ultimately streamed. SS: It reminds me of the developer One Hour, One Life on Steam, he had a panel about the indiepocalypse and comparing 2014 to 2018 with his own experience making games. His conclusion throughout it was basically if you want to be successful developer now it’s about creating an infinitely repayable instances, not about having product where you only play it once. Paul: The buffet style game platform would be a challenge for somebody who wants to just make an expensive ten-hour linear single player game. That’s a challenge. That will still exist for people who are happy to pay the sticker price for premium titles. There will always be a market for that. If you were the only person who sat down and watched Guardians of the Galaxy, it just cost $200 million to entertain you on your own for 1 1/2 hours. That is how much money must be spent to make you feel like your 1 1/2 hours was worth spending watching that movie. $200 million spent by an entity, if you’re the only person who ever saw it and you are really, everything else is existing in a parallel entertainment universe, it cost $200 million to create that roller coaster for you for 90 minutes. Why don’t we kick off to give you some background on who we are? Instead of having a half an hour explaining how awesome we are we had Americans produce videos for us [laughs] They’re very modest as you can imagine. They’re just the titles I’ve shipped, and the titles Michal has. Quick videos, a minute and a half each that will fill you in on who we are and the stuff we have produced ourselves. A very loud, rapid, explosive video showcasing Splash Damage’s work on Return to Castle Wolfenstein, Doom 3, Batman: Arkham Origins, Gears of War 4, Brink, Dirty Bomb and the many awards they won and copies sold plays. 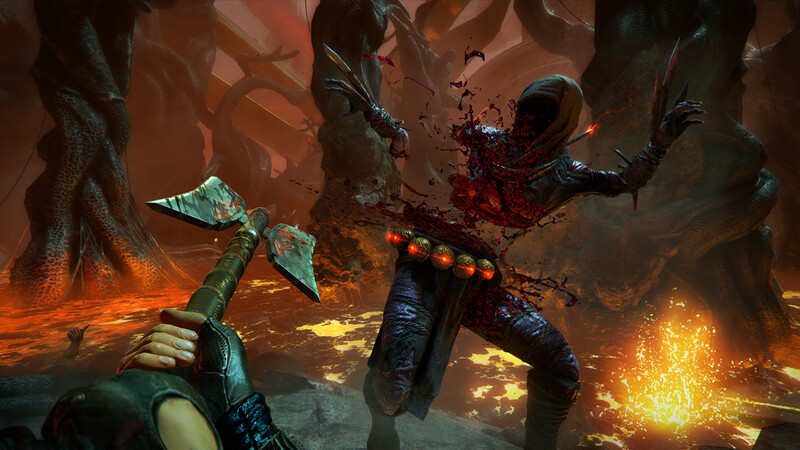 It leads into another video for Flying Wild Hog showing Hard Reset, Shadow Warrior, Hard Reset Redux, Shadow Warrior 2, and the many awards and successes those games experienced. As Wedgwood mentioned, they were very modest. PW: I founded Splash Damage in the summer of 2001 with my two partners Richard [Jolly] and Arnout [Van Meer], who are still running Splash Damage today, and they are also my investors in Supernova Capital. Michal founded Flying Wild Hog on April 1, so April fool’s day, of 2009. His company was almost exactly where Splash Damage was five years ago. After I sold Splash Damage to the Chinese in 2017, we did a deal that was worth up to $160 million. They have paid about $69 million in cash so far based on the deal. We had enough capital to now take this kind of thesis that we had proven at Splash Damage: that you build the company where you set the happiness of the employees as the number 1 priority of the company. Not making fans happy, not making partners happy, but employees happy. I was on stage on record saying this at DICE 2013 and that I believe you could be successful as a result, and we saw Splash Damage grow. At the point I stepped down, we had 350 staff in South London, eight consecutive hits, and $10 million profit in the bank. We wanted to now take this model and actually apply it to lots of other video game companies. We could create more happy, profitable companies within the industry. Flying Wild Hog shared very similar values to us and that is why we wanted to buy them. PW: We started with over 70 developers that we were really interested in and really loved, and we put them on a target list. What you must understand, I left school at 15 so I didn’t have any education. Somebody had to tell me that what I was doing was private equity and everything since that I have learned has been from YouTube. I have an army of awesome accountants and lawyers and everything else. Big companies that take care of a lot of stuff. As an entrepreneur I still can’t read management accounts. When we started to really dig down on those companies, we noticed that some of them were quite inconsistent about their core purpose. They didn’t pursue very specific goals, they didn’t have a bible or a tone to the type of games that they made. Or, once we got to meet them, they didn’t have great values or their values weren’t consistent across their company. We knew that the best target would be somebody with cashflow problems or somebody that had some management challenges. These were things that we could bring in and add value to because we knew so much about effective turnaround that we learned at Splash Damage. It was also quite a struggle because we wanted someone who really lived their core purpose, who understood their values and lived them as well. We got it down to about two companies that we really liked. One was based in the UK and one was based in Warsaw. When we met Michal in person is when we really started to talk. We would go out, party, have drinks, and really get to know each other and we just ended up sharing loads and loads of commonalities. We had very similar ambitions. His ambitions for Flying Wild Hog were very similar to mine five years ago at Splash Damage. They wanted to go to multiple projects, they wanted to grow the studio. I think that we met at Gamescom 2017. We have always built a very ostentatious stand at the business center. Everyone has these boring white stands and Splash Damage build this huge black monolith cube with orange LEDs and made it kind of a ghost train vibe inside. We brought them along into the board room with eSports racing chairs and just told them we loved Flying Wild Hog and wanted to transform them into the same kind of company as Splash Damage. I got permission from my Chinese inquirers to be able to start doing this and that is how we got started. 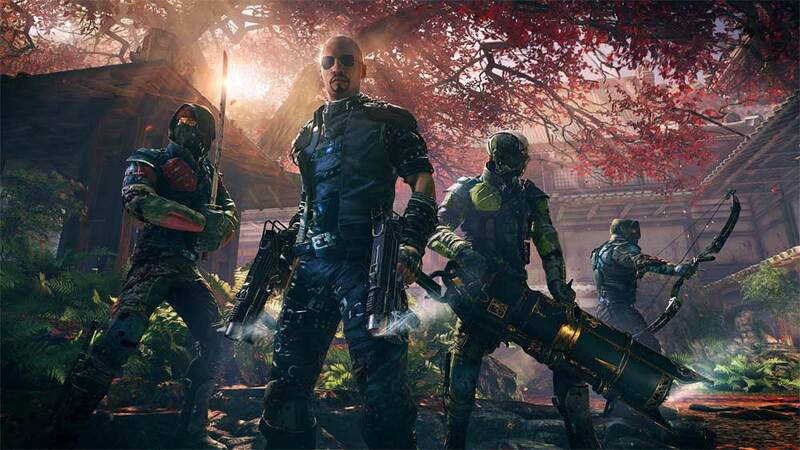 Michal Szustak: I think it was good timing because after Shadow Warrior 2 we had even bigger ambitions and we still have big ambitions. To make more projects, better games. Every game we made was better, in my opinion, than the previous one, so we wanted to keep this pace. It was difficult to have this done with our previous owner, which was a person outside of the industry. He didn’t understand games and didn’t want to be involved in this kind of thing. After that, we started thinking about getting with somebody else to make this dream happen. We met Paul and it was quite surprising for us because we expected that we would probably partner with some cult publisher or investment fund. Then, we met these guys with the same passion for games as we have. It was unexpected but it’s good for us. I feel that it was the only choice we would have to create a relationship to money, a publisher, or an investment fund, so we got into a relationship with Paul and his crew. Its ten years in two weeks, four games, so we are really experienced. Like Paul, I have never had much experience running a company of that size. After eight or nine years, when we reached a hundred people, it was more and more difficult for me to be able to focus on making games and making people happy in the team. They somehow managed to learn from their mistakes to make anything possible. We are trying to get this lesson from them. PW: I think it was just luck with us because so many of my good friends’ companies have gone bust and they didn’t go bust because they did anything wrong. It’s just when we faced similar decisions, how to delegate effectively, how to recruit well, how to grow fast but maintain the culture of the studio, how to survive a cashflow crisis, how to go to multiple projects and manage to do so, these are certain decisions we took that kind of accumulated and we were just lucky to make the right decisions. As a result, we learned from that survival. Some people were unlucky and they took the wrong decision. 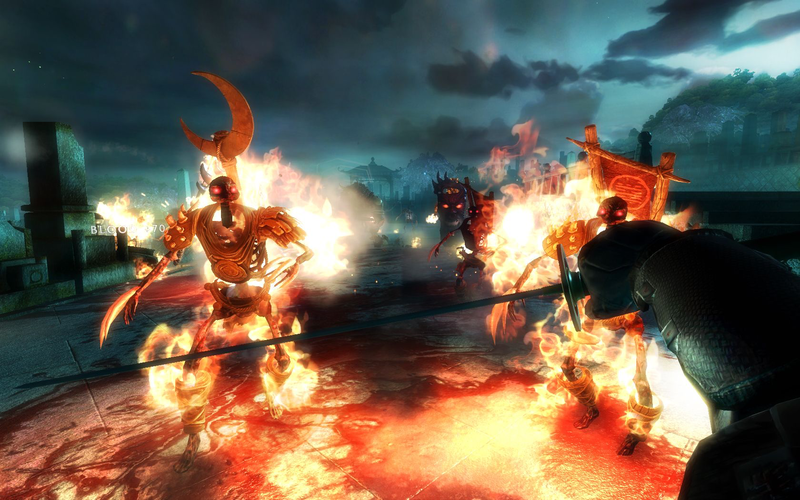 You can’t credit our intelligence for doing so, but having survived these seven crises in a row and looking back and going, “That was a great decision, and that was a great decision,” we’ve been able to build, in seven chapters, a 49 step program on how to transform a video game studio into something like Splash Damage is today where they’re working on Halo, Gears of War, and it’s really going from strength to strength. I think they’re almost at 400 staff now in 1500 square foot offices. So we’ve been able to take that system and apply it to Flying Wild Hog. In the first nine months, weave grown now to 180 staff and we acquired another 30 in a city that I can barely pronounce. They’re a really talented bunch of Unreal Engine 4 developers with three titles in production at different stages of production. I think today, I don’t speak for you, but it’s a much less stressful experience running Flying Wild Hog with 180 people than it was with a 100, and it should be the other way around. Steven: After you were bought you mentioned the studio culture hasn’t changed, what does that culture look like? MS: I think the most important thing [about Flying Wild Hog] is that we are a bunch of people that are really creative and we are all focused on making new things and pushing boundaries. We always hired senior people and gave them a lot of space to actually experiment, to try something new, and really encourage this kind of behavior. PW: That’s really the thing that makes Flying Wild Hog different from Splash Damage: that incredibly experimental culture. We have a title that we are showing behind closed doors today, they spent three years just trying to get the core thing fun. Seven iterations on multiple different technology platforms, until we got the thing that they were really happy with. Its insane, it’s really good. My son played it for an hour and twenty minutes and wouldn’t stop and he’s eleven years old. I think that culture of experimentation is cool. I think another thing that you really value is fast paced action. They’re just the most ADHD company I have ever seen. They get bored with open world games, they get bored with anything that is not just intense continuous action. 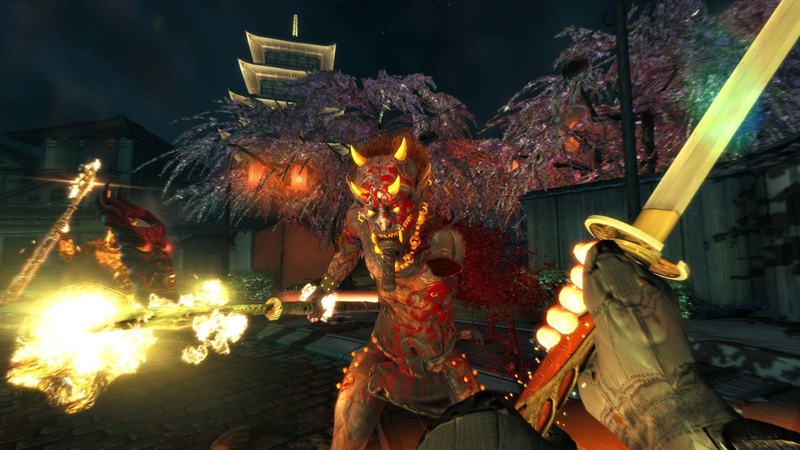 If you’ve played Shadow Warrior 2 it’s a fast-paced ninja game, which makes no sense, but its brilliant and it’s well executed. They also have a very irreverent and edgy style, but within the studio they have a very dry sense of humor. It’s a company that was founded on April 1st. They’re the most non-PC, without being racist or homophobic, company and if you spend any time at Flying Wild Hog it’s like being in an episode of Guardians of the Galaxy. They’re a fun company that just takes the piss out of themselves, they’re very self-deprecating, they have very little respect for anything else, pop culture and stuff like that. You really see this coming up in the games that they make. One of the things that we learned at Splash Damage is that if you recruit for values instead of technical prowess you build a company that gets buzzier and buzzier. You get people who want to go to work with others who share their values. At Splash Damage the values were loyalty, friendship, teamplay, and personal mastery. When you are working with people who are constantly pushing themselves and advancing their craft, making video games, you come to work and you’re looking forward to having those conversations all day with people you really enjoy. It’s not like going to work with assholes who put you off. they work together on stuff. We’re trying to do a business meeting and you see a joke spreading around the room, everyone giggling at exactly the same rate, having the same sense of humor. It’s one of those things that works well. Steven: With the purchase do you still retain rights on all your IPs? PW: We treat them completely as an independent company. We own their shares, but we don’t take any role in the day to day of the company. One of the reasons why Splash Damage was successful is that it was fiercely independent for its entire lifetime that I had it. Even on acquisition I had clauses in the post-agreement that meant I retained complete operational control of the business. I wrote a company manifesto with our values and core purpose to insert it into the post-agreement so those things couldn’t be modified. I think that’s our style of management. I don’t think we’ve ever given them a sales forecast they have to achieve. They have a happiness goal for the company. We really believe if they make staff happy and have the highest morale in Central Europe as a studio, the other things, making money and fans being happy, will be automatic but incidental benefits to having that culture as a primary focus. Steven: How much larger can the Poland game scene get? You are still one of the fastest growing developers, do you think there is room for more studios to pop up? What kind of advice would you have for a Polish developer who wants to get started with their own company? MS: Join the Hogs to make awesome games. This is the best place to make it. PW: At Flying Wild Hogs, they run a very indie style company, we call it indie-AAA. You can join the Hogs and be a two/three-man team where they are working on awesome concepts and know they are getting paid every week and get holiday time. Polish video games culture is brilliant. Part of the reason why we were attracted to Poland is, you look at the OECD stats, they are the sixth-hardest working country in the world. Their rates of graduation for masters degrees is higher than anywhere else in Europe. They still have the złoty, they haven’t taken the Euro, so their economy is quite stable. Their millennial generation is very progressive. I think there are a lot of preconceptions about Central Europe: homophobia, racism, sexism. They just don’t exist at Flying Wild Hog at all and not with that generation. Certainly, the older population is a bit nationalistic, but as far as a place to go I think it is one of the best cities to visit in Europe. Warsaw itself, by much of the fact that the UK and America created space there for new construction after World War II, was able to be laid out grid style like a US city. When you go to Warsaw it’s very much like being in a Midwest American city. Public transport is very good, the offices are good. The offices that they are in now remind me of Universal Studios in Studio City. The coffee shop on the ground floor, Google style lifts, security. It’s a great place to work. For a startup what’s good is Warsaw is seen as the capital of Central and Eastern Europe by most Eastern Europeans, Warsaw is the city to go to. It’s the aspiration, the place you want to be. As a result, the concentration of talented game developers is higher than anywhere else in Central Europe. The biggest developers are all based there: CD Projekt Red, Techland, People Can Fly, and of course Flying Wild Hog. It’s a fervent place. You are seeing people who are disenfranchised in some of the studios that have the older style management and the older style approach. They are leaving to either start their own indie teams or to join companies like Flying Wild Hog where culture is treated as more progressive. Steven: What do you think a United States developer or publisher could learn to improve the culture within their studio from you? MS: I am a developer myself so what is most important for me is this feeling that you can try. You can learn from mistakes. It’s better to try and fail than not trying at all. And I think it’s not that obvious for big publishers and big developers. Usually, they try to follow the biggest trend, not push boundaries. For us, it’s important to find something and propose a new kind of experience for players. PW: If you just get a team to make something someone else is making, they don’t feel very satisfied creatively. If you are just working genres which are brands, movie licenses, and things like that it’s not that interesting. 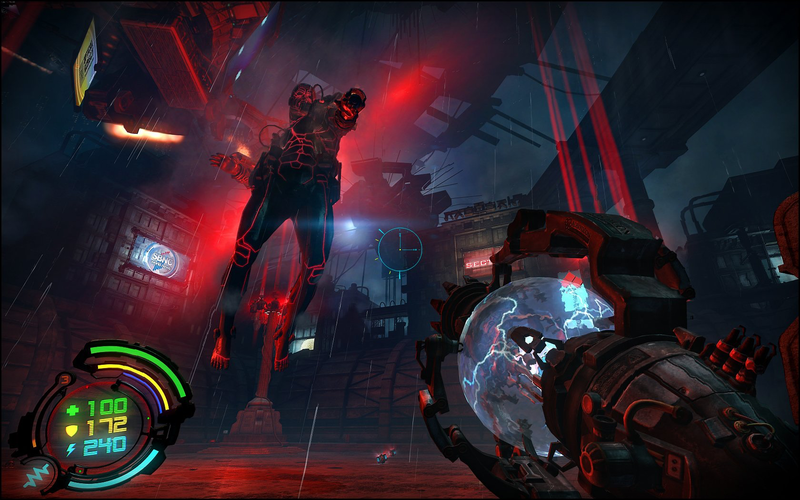 Flying Wild Hog creates original IP and it has experimentation as the cornerstone of the studio. It tends to have staff that feels very satisfied creatively but the key to any studio anywhere in the world to being effective is to reduce confusion, reduce politics, and to increase productively and morale. Symptoms of companies that are unhealthy are: crunch, exploited workforces, the lack of overtime, no time off at the end of projects, and huge layoffs at the end of projects. At Splash Damage we’ve not laid off a single person in 17 years, never missed a salary, Flying Wild Hog will never be allowed to lay people off because of some salaryman. MS: We have never crunched. Paul: Productively, shipping games on time without crunching comes not from the world’s best planning or scope management or resource management, but just from having high morale on the team. Really high morale means people are happy. There are four ways you can do that. The easiest is to have a sociable office and workspace where people want to come to work because they are friends with the people they work with. The depth of social connections is important. Secondly is people need to feel a sense of advancement of skills. It’s easier in the AAA and indie-AAA space, because of course on Unreal Engine 4 people are always challenged to produce better art, better graphics, better design. However, across most areas, you should make sure your staff has self-development space. Even if you can’t afford to pay for training, you can pay to have lots of books in the office and have time in the office to develop. I think also autonomy and trust. If you are told and micromanaged what to do every day, all you are doing is bringing your hands to work and having someone else in charge. Your brain is just as valuable as everyone else in the business, and your ability to sense and discover problems to be fixed. If you are forgiving of mistakes and you call them lessons, not mistakes, which is the point we were just making, you get a workforce that have a much greater sense of autonomy and great things happen. People will happily fix things if they feel like they will be valued for doing so. If they are given that autonomy or trust. Ultimately the fourth thing that leads to happiness in the studio is to get everyone behind a purpose they believe in. When a studio’s purpose is simply to make money, that is not really that gelling for people. You should be waiving your flag to say our goal is to become a happy studio or to focus on this core purpose of creating the most fast paced, irreverent, edgy, and experimental games. As long as the people you hire like that and that’s what they want to do, they start to be aligned with your purpose. They feel their job moves into a career with skills and advancement. It becomes a calling when you’re serving your purpose and I think that’s the kind of transformation any American studio can do if they want to be like Flying Wild Hog. Steven: Given your enthusiasm for the Stadia I think it’s safe to say future titles will be a part of it? PW: Flying Wild Hog is completely agnostic so the titles they are working on at the moment are designed from the ground up to be just as much fun on mobile, Switch, Google streaming, PC, Xbox, and PlayStation. There is no discrimination between them, no more than between watching a movie in a cinema or on Netflix or Amazon or DVDs if you can still get them. MS: The number one thing for us is making every experience as fun as possible so we can play it anywhere. It was really refreshing to walk away from two longtime industry professionals who from all appearances seemed to take most pride in the way their studios were run. The interview took place just a few weeks after Activision laid off around 800 staff members after a “record” year of revenue, and soon after the report on the conditions behind Anthem‘s development came out, so what they were saying seemed like a breath of fresh air for this industry. Though I’m unable to spend time in Warsaw to verify whether or not the things they said were true, I think it’s important that studios make a name for themselves with statements such as their’s, never undergoing crunch and always putting the workers happiness over sales goals. Hopefully, come next year, more companies will be recruiting based on the same core values talked about here, and it won’t be bookended by layoffs and stories of overwork. Of course, you can be sure that DualShockers will let you know when Supernova Capital and Flying Wild Hog reveal the projects they are currently working on.